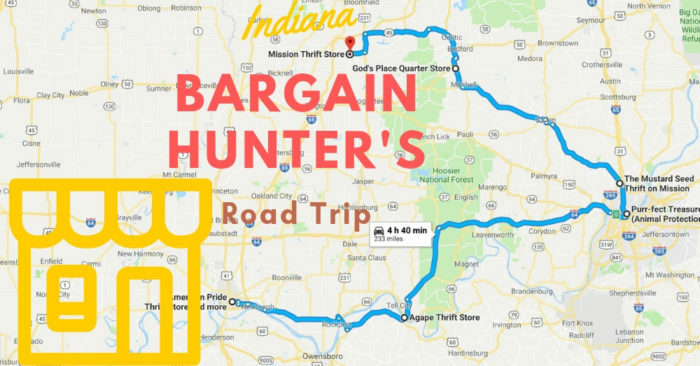 Explore a lesser-frequented part of the state when you take this four and a half hour thrift stores road trip through southern Indiana. Spend 30 minutes to an hour at each place, and you can visit them all in one day. Otherwise, make a weekend of it! For an interactive version of this map, click here. Just about anything you can think of is sold at this little-known shop. Find books, decor, furniture, nick-knacks, signs, masks, clothing, accessories, and even plants. 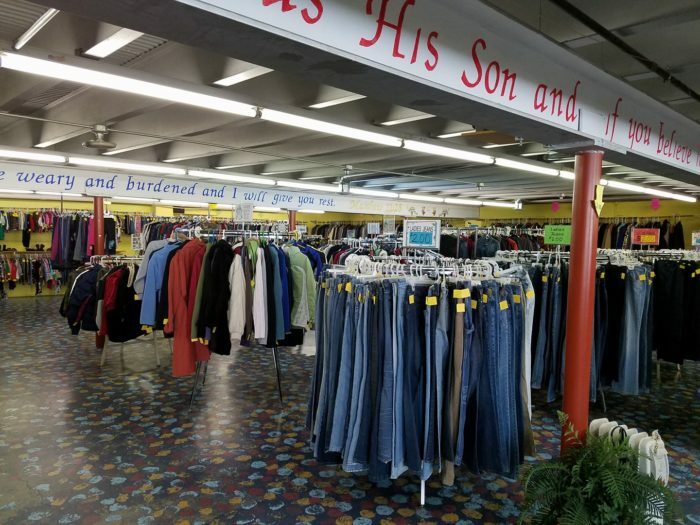 It is open Monday through Saturday between 9 a.m. and 5 p.m., and it is located at 2346 Washington Ave., Evansville, IN 47714. 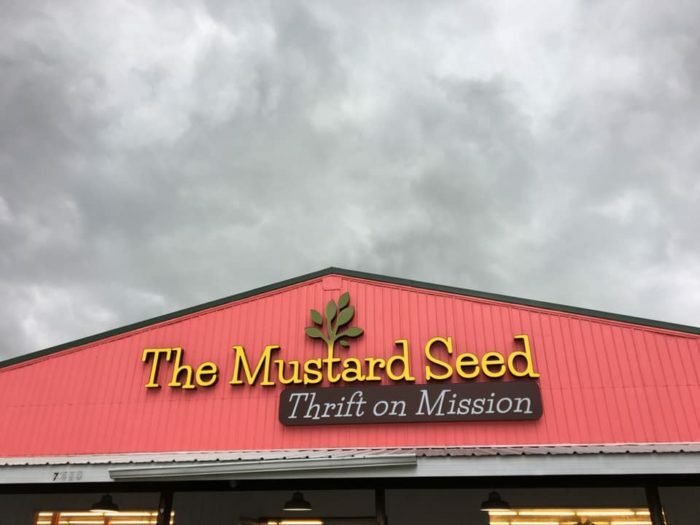 Operated by a local church, this expansive store is open Wednesday through Friday between 9 a.m. and 4 p.m. as well as Saturday between 9 a.m. and noon. 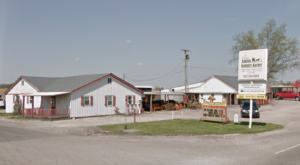 It is located at 101 Taylor St., Cannelton, IN 47520 and sells items like clothing, holiday decor, comics, toys, baby items, and much more. 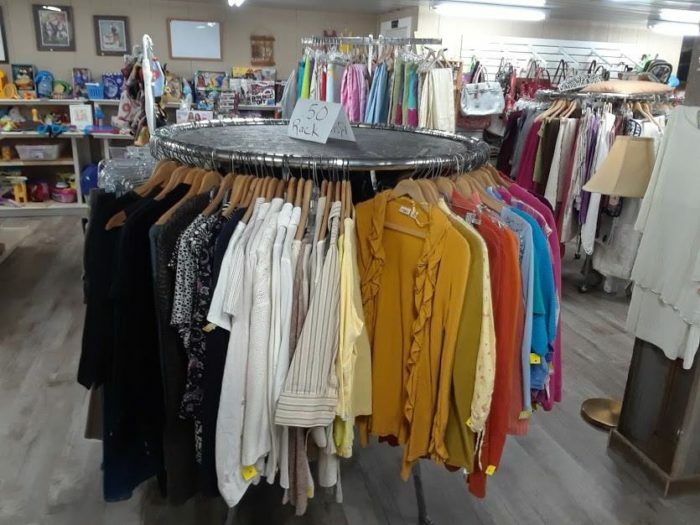 In association with the Franklin County Humane Society, proceeds from purchases made at this thrift store help cats and dogs in the community. 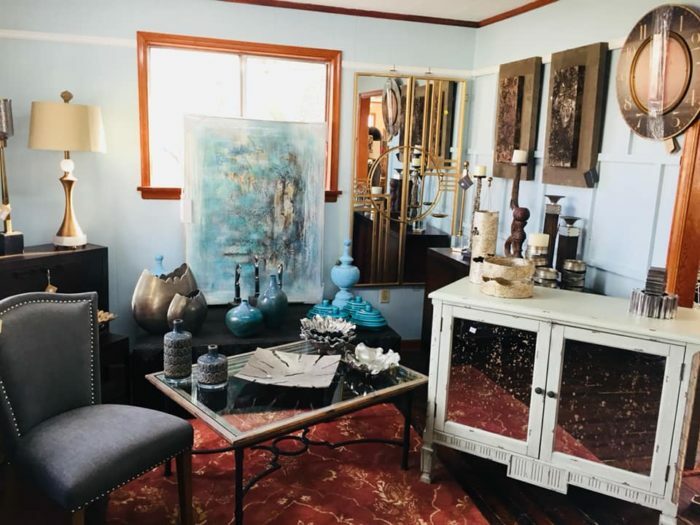 It mostly sells furniture and home decor, and many items are high-end. This shop is open Wednesday through Saturday between 11 a.m. and 5 p.m., and it is located at 146 Spring St., Jeffersonville, IN 47130. 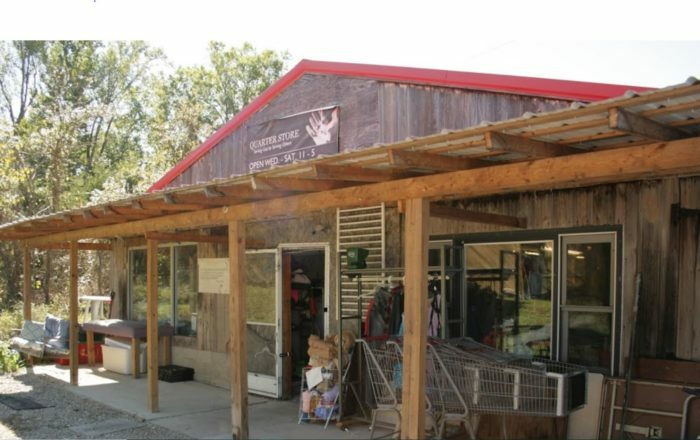 Established within the last four years, this wonderful barn-style store sells clothing, toys, games, furniture, purses, and much more. 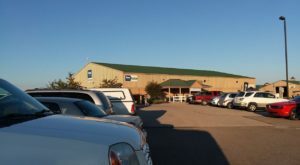 It is located at 7410 County Rd. 311, Sellersburg, IN 47172, and the proceeds aid those struggling with abuse and other traumas. 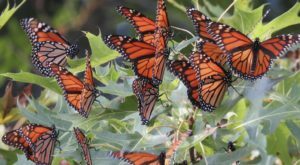 Hours are 9 a.m. to 6 p.m. Monday through Thursday and 9 a.m. to 7 p.m. Friday and Saturday. 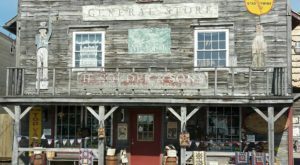 This thrift stores road trip would not be complete without a stop at this rustic shop. The bargains are unbeatable, and you're bound to find a little bit of everything. 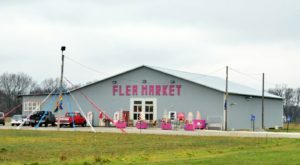 It is open Wednesday through Saturday between 11 a.m. and 5 p.m. and is located at 8073 State Rd. 37, Bedford, IN 47421. 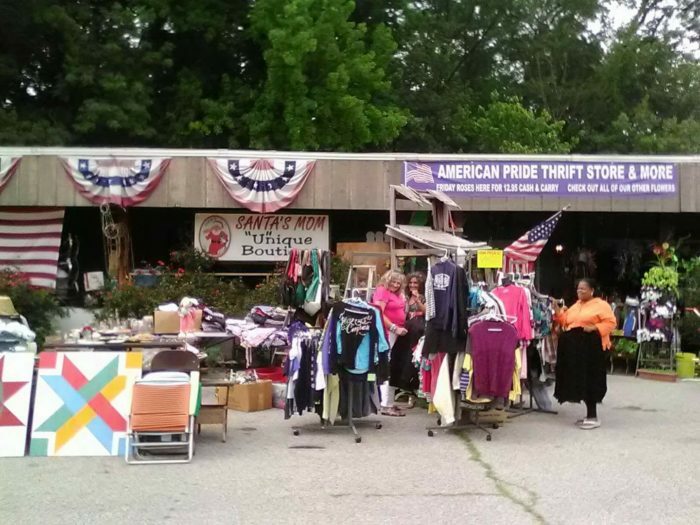 Open Monday through Saturday between 9 a.m. and 4 p.m., this shopping oasis is the final stop on our thrift stores road trip. It sells clothing, decorations, baby items, furniture, gym equipment, toys, glassware, and so much more. 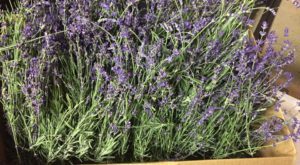 Find it at 102 E Main St., Odon, IN 47562. 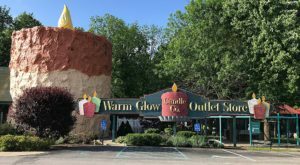 For more old-fashioned shopping experiences, check out these six general stores in Indiana that everyone loves. 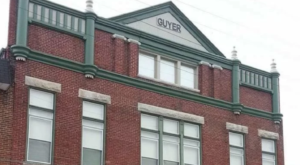 What other shops belong on this thrift stores road trip? Share your favorite places with us below in the comments.